Browse other questions tagged support bug advertising . 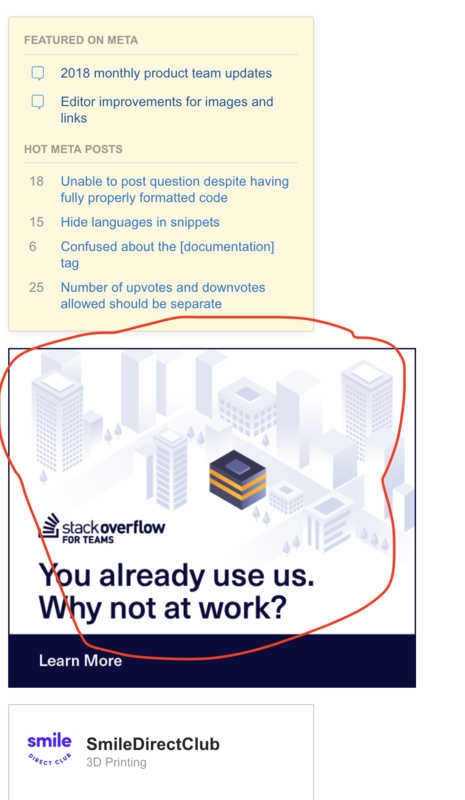 Is the color code for job ad based on any logic? How do I report an ad if my ad blocking rules prevent it from appearing in the first place? Why don't my watched tags stick in Stack Overflow for Teams?